Tanya Longhenry’s worst nightmare had come to life. She was caring for her youngest son in what she thought were his last moments on earth. “As I was laying there with him, I didn’t think he was going to make it,” Tanya said. It had all started out so innocently. After spending a few blissful vacation days with extended family in Montana, Tanya and her husband packed up their three boys and prepared for the drive back home to Colorado. The long hours on the road and a car full of kids meant frequent pit stops were in order. After pulling their van into a gas station in Cody, Wyoming, the kids piled out of the car and headed for the bathrooms. After a much-needed stretch and restroom break, Tanya’s youngest son, five-year-old Jeremy, headed back to the van where some of his family were waiting. A car had backed up over Jeremy and stopped. The car’s rear tire was resting on top of the boy’s small frame. Scrambling out of the van as fast as she could, Tanya began screaming to her sister-in-law who ran over and pounded on the driver’s window. “She screamed, ‘You’re right on top of him!’,” Tanya said. The crews of REACH 59 in Greybull, Wyoming help transport sick and injured patients like Jeremy to needed care. As the driver pulled forward, Tanya pulled Jeremy free and laid down on the pavement next to him. After placing a panicked phone call to 911, an ambulance soon arrived and rushed Jeremy to the emergency room at Cody’s West Park Hospital. There, the doctors had Jeremy undergo a CT scan and x-rays. Luckily, none of Jeremy’s internal organs had been harmed, but he didn’t escape the accident unscathed. His pelvis was fractured in several places and would require surgical repair. Doctors decided it would be best if Jeremy were transported to Swedish Medical Center in Inglewood, Colorado where a team of skilled surgeons could repair the fractures. However, with an estimated drive time of more than seven hours, doctors knew that sending Jeremy by ground was out of the question. With a medically equipped plane located just minutes away in Greybull, the West Park team requested an air transport from REACH. 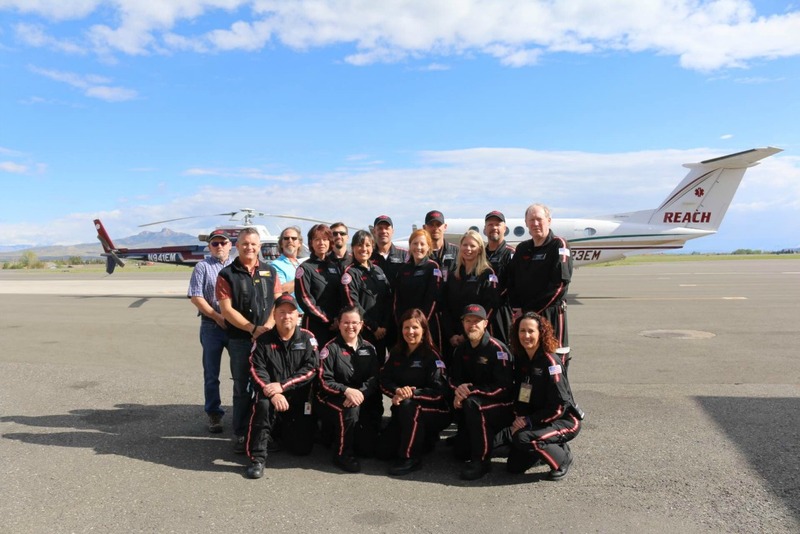 When the call came in, Pilot Zach Bowman, Flight Nurse Mary Claire Rawlings, and Flight Paramedic Josh Campbell immediately headed to the airport in Cody to rendezvous with the pediatrician from West Park, the ground ambulance transport team, Jeremy and his mother. From there, the REACH crew assumed Jeremy’s care. 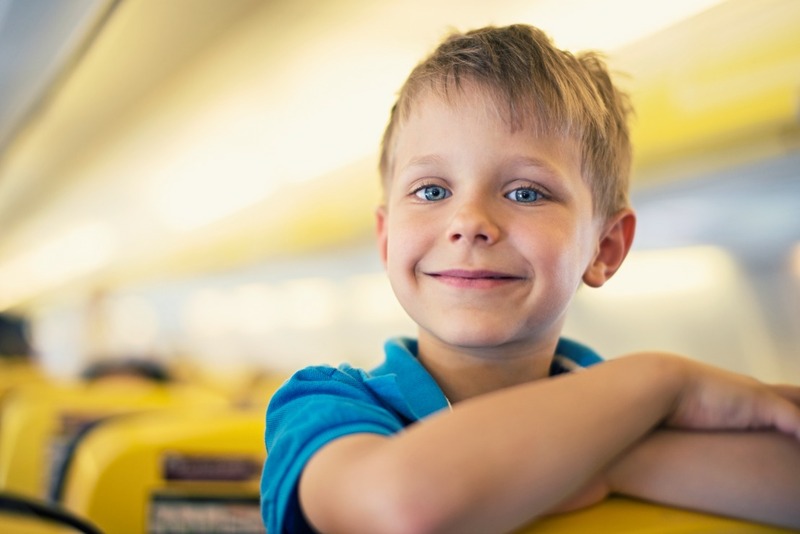 After Jeremy and his mother were safely aboard the aircraft, the crew took a moment to brief them on the flight and what they could expect. Being that it was Tanya and Jeremy’s first time flying, the crew knew to take extra special care of their two passengers. The crews of REACH 28 and REACH 59 are proud to serve the communities of Cody and Greybull, Wyoming. The expected flight time was around two hours because of several thunderstorms moving through the region. With Zach well prepared to circumvent any bad weather they may encounter along the way, the plane took off headed for Colorado. While caring for their patient, Josh and Mary Claire took the opportunity to learn more about Jeremy and his mom. Being that Josh is a father of three boys and that Mary Claire’s area of focus before coming to REACH was pediatrics; they had a lot to talk about. With good conversation to pass the time, it didn’t seem like long before the plane touched down safely in Inglewood. From the airport, Josh and Mary Claire accompanied Jeremy and Tanya to Swedish Medical Center where they transferred his care to the hospital’s pediatric team. The next day, his sixth birthday to be precise, Jeremy underwent surgery to repair the fractures to his pelvis. And while this strong young man was more than able to handle the fear that comes with having surgery, a surprise gift from his flight crew definitely helped ease his pain a little. “When Josh and I found out that it was Jeremy’s sixth birthday, we got online as soon as we got back to the base and we ordered him an air ambulance Legos set and had it sent to the hospital,” said Mary Claire. With a new toy to distract him, Jeremy spent the next few days recuperating at the hospital before heading home. We are so happy to hear that Jeremy is on the road to recovery and we sincerely hope that his seventh birthday is spent doing something far more fun than having surgery!